Vacations are so incredibly wonderful because you are setting aside dedicated time to just play, relax, unwind, have fun and spend lots and lots of time together as a family. But sometimes, a full blow vacation just doesn’t fit your budget or time constraints. 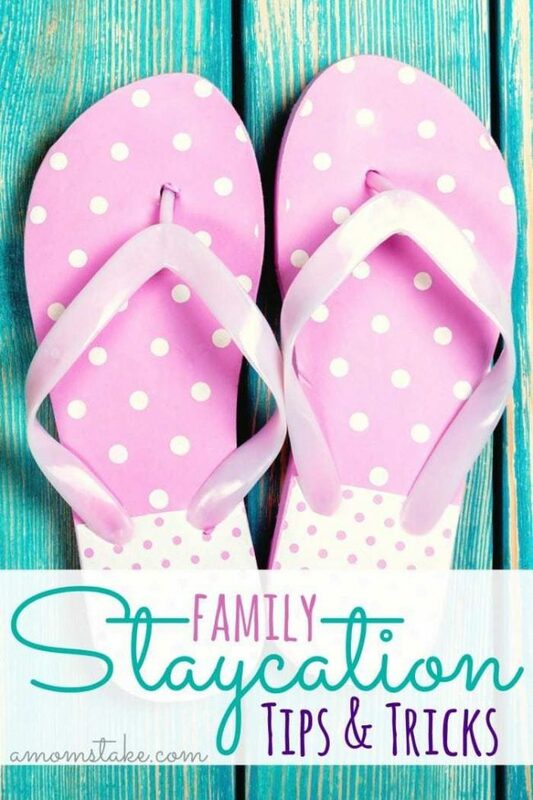 A family staycation is a fantastic way to feel like you’re splurging on a fantastic vacation and to build those memories together without the big expense that can come from an extravagant trip. 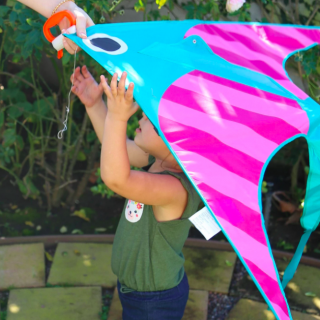 We’re always planning short and sweet getaways as a family to reconnect, here’s what we’ve learned and our trips to successfully plan a family staycation. We received a complimentary 2 night stay at Westin Kierland Resort & Spa Scottsdale. All opinions are my own. Pick Your City – There are so many gems right where you live, that you don’t have to look far to find the perfect staycation location! Look for places about an hour away up to 2.5 hours driving distance from home. It’s just far enough to feel not right around the block but close enough that you won’t spend a ton on gas or waste a lot of time on your short getaway with travel. Find Your Dates – Look through your school calendar, work calendar, and all upcoming activities and pencil in a date for your trip. You can get away with a trip that’s as short as 2 days / 1 night, but ideally you’ll want a 3 day / 2 night trip or 4 day / 3 night trip for your staycation. Our favorite is a 2 night trip as it gives you enough time to settle into your location and see several sites and attractions while balancing your expenses and time off. Avoid big holiday weekends, when possible, like memorial day, spring break, 4th of July, and other holidays. Make a Plan – Scout out a travel guide for your destination of choice and pick out your top 1 or 2 things you’d love to do together as a family in the city. 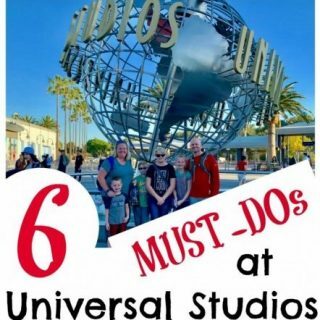 We like to keep a backup list with the details of a couple of more attractions such as hours, address, and admission fees so we have a resource available on the fly in case plans change last minute. However, by focusing on our top 1-2 places we’d like to visit tends to keep anyone from disappointment if you don’t make it to the site in mind. Make a rough plan for your trip, but leave room for flexibility, too. Individual Packs – One thing I love about staycations is you don’t have to load up the whole house to come with you. Pack only the essentials – such as just enough clothes for the trip length, plus an extra outfit just in case. We’re in the habit now of packing a single individual backpack for each family member. 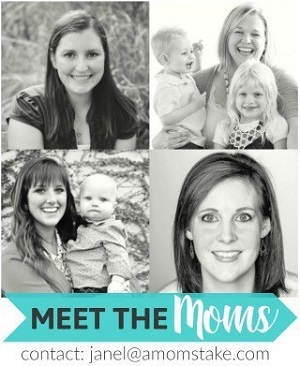 Each of our children, except our youngest, carries their own clothes and anything else they decide to pack. It makes it so much easier to get in and out of the hotel when every family member is in charge of their own belongings to both pack in and back out. Hit the Sights – Plan one of your days to be filled with a fun family excursion like a trip to the zoo or aquarium near by if you have younger children with you or hit the coasters as a family if you’re traveling with tweens. You can also check off the attractions your city may be famous for like an historic section of town or a famous monument. Whether you seek fun and adventure or culture and history you’ll have a lot of fun together. We like to fill up one day pretty full and leave our other trip days short and sweet, that combination is just right for our group. Plan a Lazy Day – One of our favorite things we’ve starting making a priroty on any of our family vacations is to have at least a part of the trip that isn’t filled to the bring with excursions and sightseeing. On shorter trips like staycations, that may mean the morning is spent relaxing in our room together with no timeline to meet. It may sound backwards, but it completely makes the trip for us as we come home relaxed instead of burnt out from a packed to the brim trip. Go to a Resort – There’s no better way to feel completely and totally relaxed and able to unwind and enjoy your trip than at a resort. They are uniquely designed to have all the dining, entertainment, and a accommodations you’re looking for in one spot. A resort has the ability to completely transform your trip and make you feel hundreds of miles away from home, even if you’re just down the street. Our most recent family staycation took us to beautiful Scottsdale, Arizona. It’s a quick 1-hour trip from our home in the Phoenix valley but the change of pace couldn’t have been more drastic! 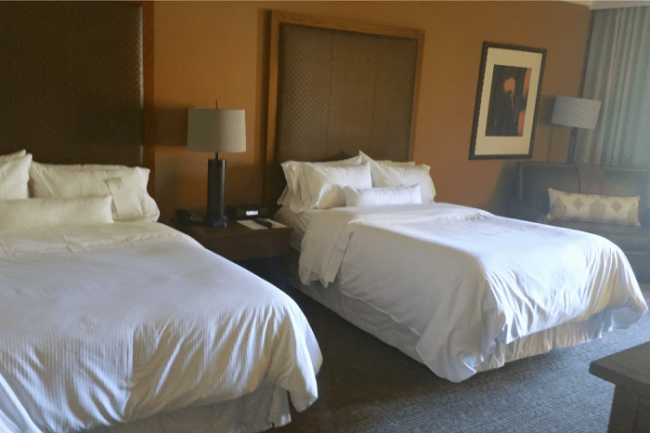 The second we stepped foot onto the property of the Westin Kierland Resort & Spa, where we’d spend 2 days and 2 nights, all our day-to-day stress and happenings faded away. We unloaded our bags into a beautiful casita that had plenty of space of our large family to sprawl out and get comfy. After a little R&R, we were ready to explore the property. 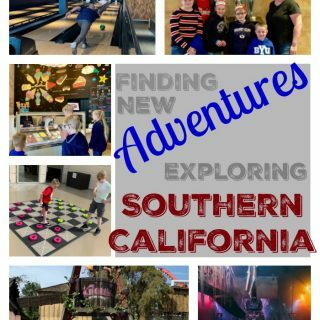 There was so much to do with fun right at our fingertips during our stay. 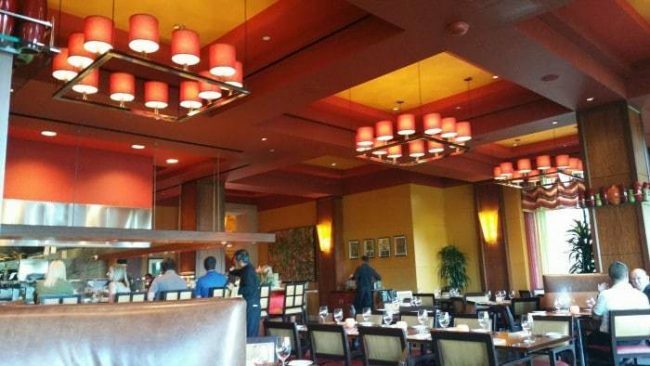 We could dine at one of the several restaurants right at the resort or hop on a free shuttle to the next door shopping and dining districts for even more options. Westin Kierland Scottsdale‘s pools did not disappoint! There was a lazy susan, water slide, and a big pool with lots of space to play at different depths, and even a splash pad area. We spent most of our Saturday here by the pool relaxing, playing, and having a great time together as a family. 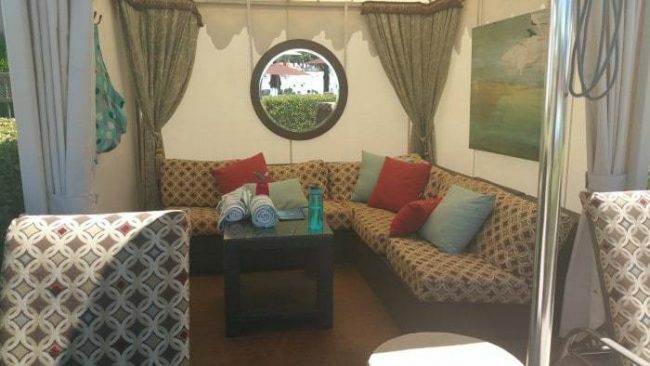 The resort has these gorgeous casitas pool side that help you relax and dine in comfort. We played hard in the pool for a little over an hour, then came up for some lunch and all of us took a little cat nap in the cabana, it was heavenly! 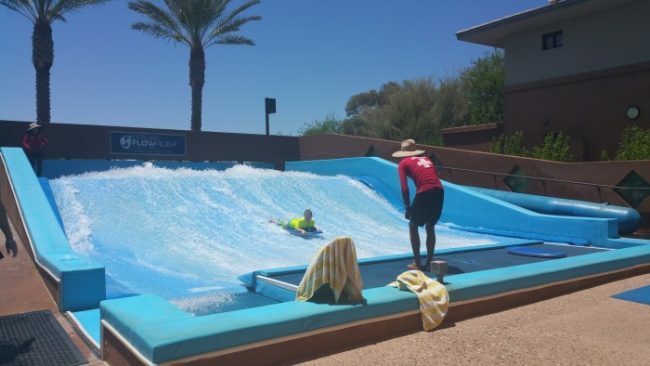 One of the really unique features at the Westin Kierland Resort is the Flow Rider. This was SO much fun!! I’ve never surfed before, or anything like it, so I was a bit nervous as were my boys. But once we tried it, we were all hooked! You ride it like a boogie board and when you finally catch your balance on the board, you can try one of the tricks the staff will show you like moving up onto your knees, rolling over and back up onto the board, or sticking your arms out to the side. It was an absolute blast! 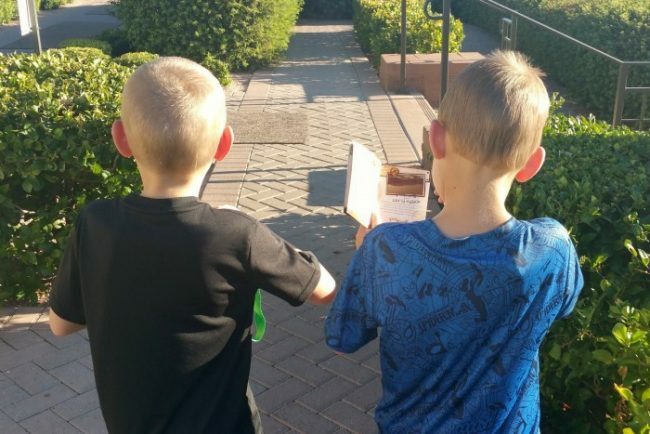 One of the other really awesome programs at the resort is a treasure hunt activity. You scour the resort to check off different locations. My boys were all about finding and collecting stamps throughout the resort property that could be exchanged for a set of collectible pins! We even discovered two “secret” pins during our stay that were not a part of the official stamp booklet that came from interacting with the staff – one came from the landscape crew and another from security! 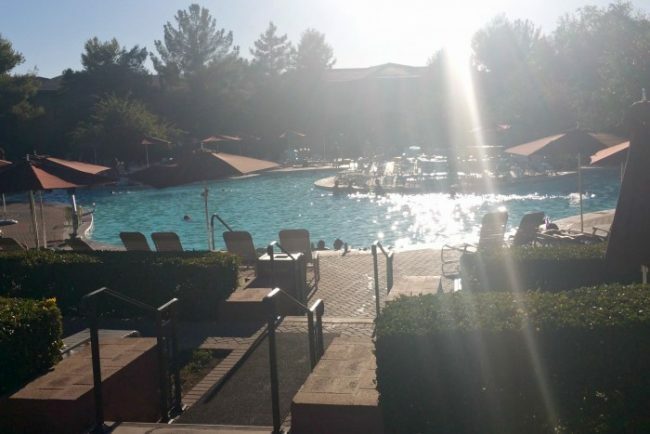 If you’re looking for an unforgettable vacation without going far, turn to the Westin resort nearest you, or head my way an stay at the gorgeous Westin Kierland Resort and Spa in Scottsdale, Arizona. You won’t regret your trip, the hotel is amazing and perfect for a family getaway or staycation. My husband lived in Scottsdale, AZ for some high school years. 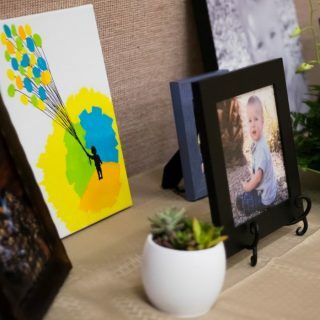 He loved it and always talks about visiting. Nice place to stay! This place has an awesome pool and surfing area! I love hotels and resorts that have great water features for families. I think a family staycation is such a smart idea. We actually live near a lot of neat places for kids to have fun, so for us, it is the only way to go! These are all such great tips. I think a staycation is such a great idea. They can be a lot funner too! I love doing staycations. A staycation sounds like a great way to have a vacation and save some cash. I will have to use these tips to plan our next getaway. These are great tips for planning a staycation. I like to explore our area with a staycation. Yes! We do like to take a family vacation one time a year before school starts and the summer is over. We also like to plan a few different staycations, thanks for the tips! A staycation sounds like a great idea!!! I would love to have a lazy day. Our vacation left me wishing to take another vacation! I love all these tips! It is really important to plan ahead to get the best out of your summer! I’ve been to Mesa and Phoenix AZ but never Scottsdale. I think I need to do some planning. The Westin Kierland Resort looks fabulous! A staycation sounds like a great idea right about now. I would love to have a lazy day. In the summer, most towns have local fairs. We go to those, and they are all fairly close to home. We pack a lunch and snacks so we dont need to spend money on overpriced ‘fair food’. Yesterday we went to the State Fair and had a nice time. Our cost was just admission, parking and that was about it. We do Staycations to a City not far from us that has a beautiful lake running through it with a lot of fun activities. We always have fun doing Staycations and they are so much cheaper! Plan a Lazy Day is a great tip! We love to hit sights we normally don’t have time for, it than becomes very enjoyable to have a staycation.